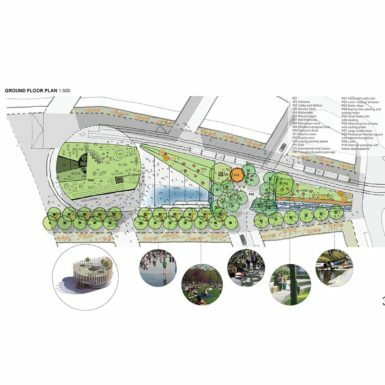 Community vision is at the heart of all considerations for the green square library and plaza design competition. 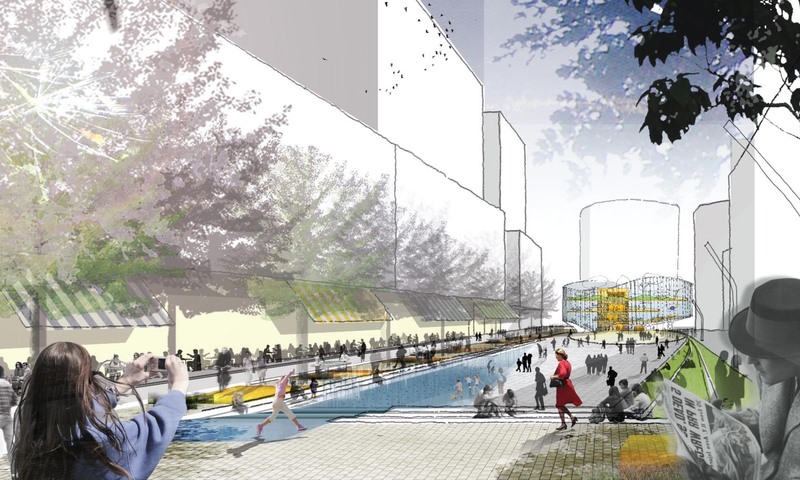 Creating a meaningful and functional town centre that allows residents and the workforce to live lives that contribute to the well-being of their families, through the sharing of knowledge and socialising in a well-connected, global precinct within the city of Sydney. 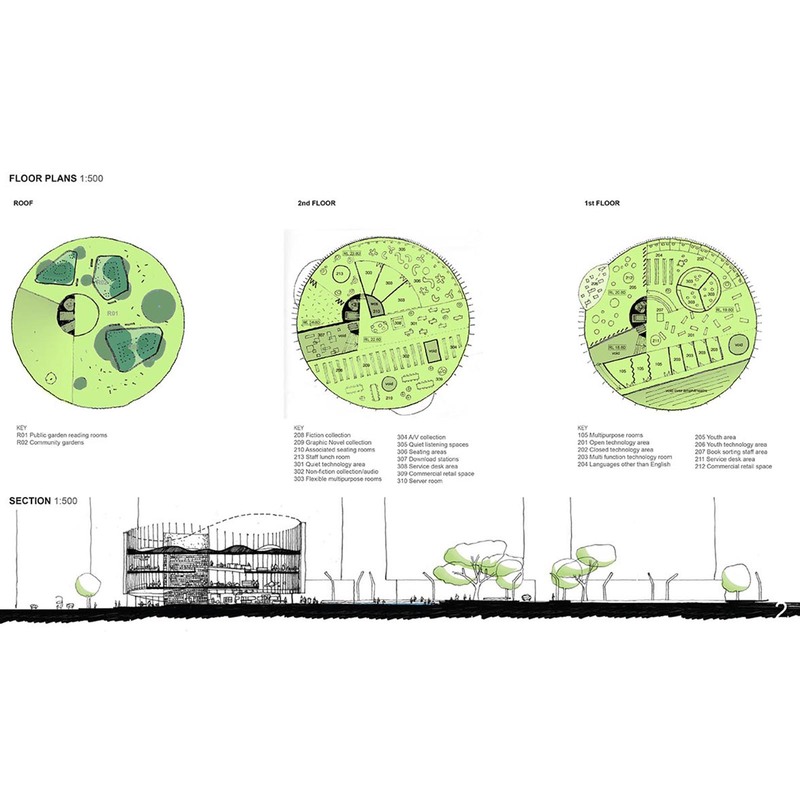 Design approach – a place for people – the plaza and library are developed as one. The new library and plaza is a forum for ideas designed to build conversations. The library and plaza is designed as one space comprising 3 parts offering a diversity of experiences to the new population of residents and workers. Elemental and enduring design – the library and community hub is the centrepiece of this new public infrastructure. The plan of the plaza envelops the library which is placed at its north-west end terminating and framing the plaza at botany road. Generous steps lead down to botany road and the new crossing to the green square station. The ground plane of the plaza continues across to the station with widely spaced traffic lights to increase a sense of public realm. The strength of the library and plaza concept will produce a project of intelligence and imagination. 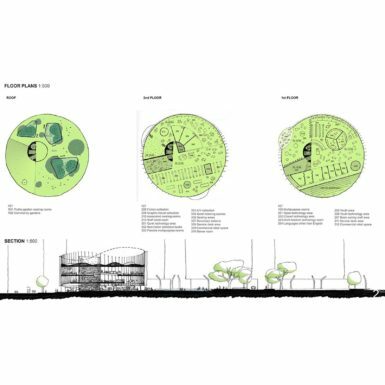 The circular library is an enduring form which stands in contrast to the site’s complex geometry, site constraints, and built form context. 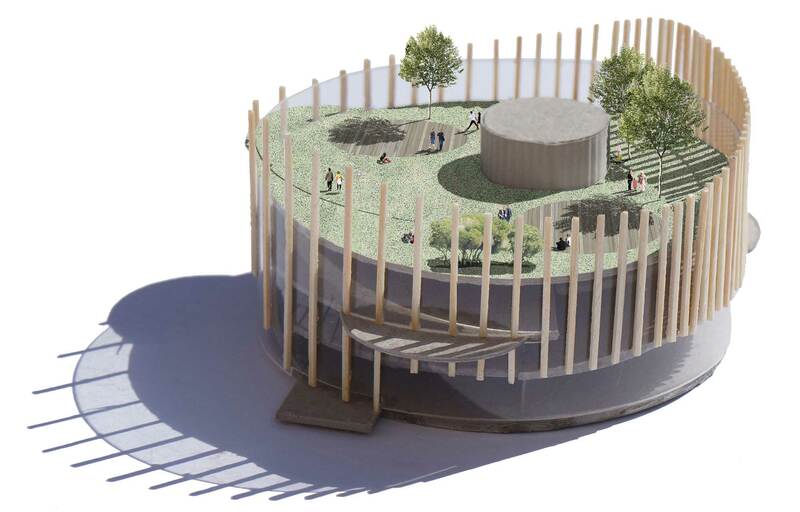 It allows this public building to be used, activated and experienced – ‘in the round’. 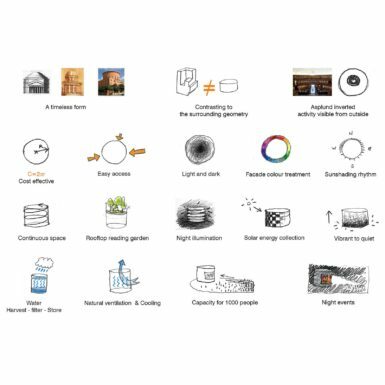 The circular facade responds to environmental factors and orientation. The traditional library plan has been inverted. Activity and public life occurs adjacent to the façade. An exploration of the importance and meaning of “the library” in a 21st century community is central to the project and is a human-centred architectural response which will be developed further. – the green square – a tree-filled shaded and shared street with a diversity of seating. – shea’s water play park, serving the local community and celebrating the site’s history and connection to water. 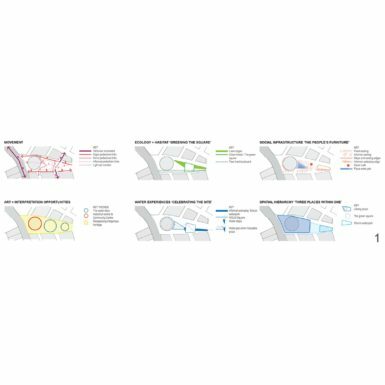 Richness of experience – the design ensures that amidst these new commercial and residential developments there will be a range of opportunities to socialise in the public domain in a landscape setting. 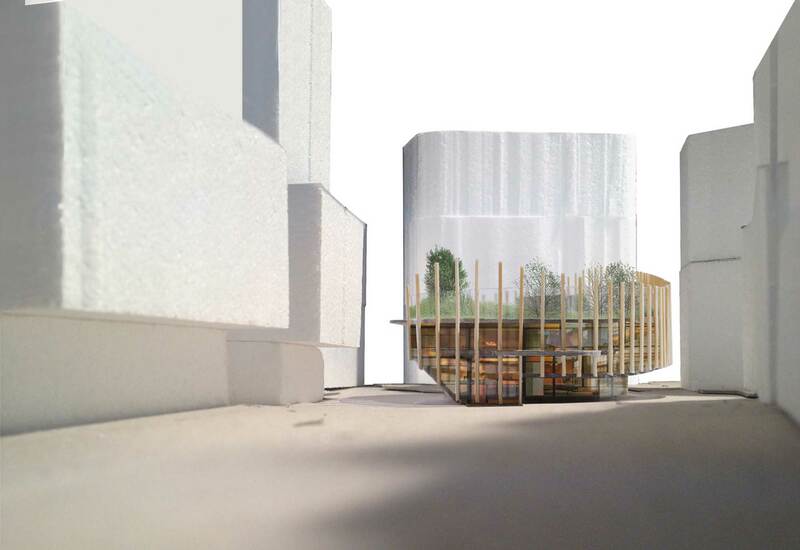 The design creates a multitude of opportunities to bring people together – to build capacity and well-being through social infrastructure, and to celebrate and demonstrate the aspirations of the green square library and plaza brief. Cost: actively seek cost effective solutions to all construction matters. Cost planning in tandem with the design process. 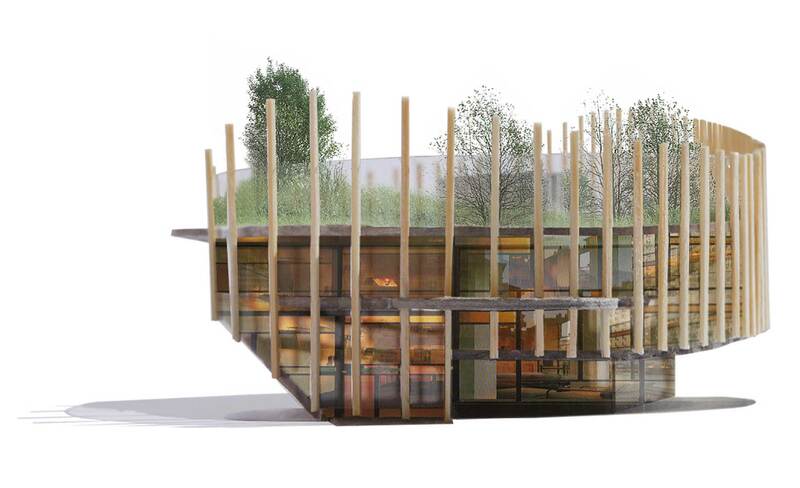 This proposal does not rely on expensive structure, facade systems or detailing.